Protecting and restoring the health of the earth’s oceans is a major challenge, but our foundations – The Tiffany & Co. Foundation and The Moore Charitable Foundation – are encouraged by the success we are seeing with support for the establishment of marine protected areas (MPAs) through innovative, collaborative philanthropy that magnifies the power of our giving. Since its founding in 2000, The Tiffany & Co. Foundation has sought to preserve the world’s most treasured landscapes and seascapes by supporting organizations dedicated to environmental conservation and stewardship. Our grantmaking is focused on the areas of responsible mining and coral and marine conservation. The Moore Charitable Foundation, founded in 1992 by conservation philanthropist Louis Bacon, is dedicated to delivering tangible results in environmental conservation through the protection of land, water and wildlife. Our core giving aims to preserve open spaces, strengthen habitats, defend threatened species, and protect marine and other water resources. Marine philanthropy is a core interest for both of our foundations. Oceans cover 70 percent of the earth’s surface, and their problems are so complex and enormous – overfishing, seismic blasting, mining, oil drilling and other degrading activities that threaten our natural resources – that no one person or organization can effectively tackle them. That’s why The Tiffany & Co. Foundation and The Moore Charitable Foundation work together worldwide to support the establishment of MPAs through an international funders’ collaborative called Oceans 5. With other Oceans 5 partners including the Waitt Foundation, the Leonardo DiCaprio Foundation, Bloomberg Philanthropies and the Oak Foundation, we pool our resources to magnify the impact of our giving. Since its inception in 2011, Oceans 5 has supported over 25 projects in oceans around the world with results-oriented grant-making that has resulted in the designation of 30 MPAs covering more than 2.5 million square miles. Healthy oceans are a key to solving some of the world’s most vexing problems – from climate change to food security to job creation. In fact, about 25 percent of the carbon dioxide we emit is sequestered by our oceans, which provide oxygen for every second breath we take as well as food and livelihoods for tens of millions of people. Yet a tiny fraction of US philanthropy – by some estimates less than 1 percent – is devoted to ocean conservation, and only a small fraction of that goes to MPAs. MPAs currently protect roughly four percent of the earth’s marine areas by restricting destructive human activities in designated parts of our oceans, coastal wetlands and other large bodies of water. The remaining 96 percent is vulnerable to human activities that are rapidly spoiling some of our most magnificent and endangered ecosystems and marine life, from coral reefs to hawksbill sea turtles, blue whales and hammerhead sharks. Marine scientist recommend that 30 percent of the world’s oceans be fully protected in MPAs by 2030. The dozen partners in Oceans 5 believe that we can achieve more together than alone. The Tiffany & Co. Foundation and The Moore Charitable Foundation see our investment in collaborative philanthropy and MPAs as a strategic way to address a range of issues from climate change to hunger to biodiversity. Philanthropic support has been instrumental to the establishment of most of the world’s MPAs, and we encourage other large funders and individuals to consider collaborative philanthropy and MPAs for their portfolios. Because there are relatively few marine philanthropists, private funders can leverage their support and have an outsized impact. We believe in the power of partnerships. Beyond Oceans 5, other organizations we support are Oceana and the Wildlife Conservation Society, which are leaders in establishing MPAs to preserve and protect our oceans, their species and their ecosystems by advancing marine diversity, supporting sustainable fishing and pushing for tourism that is both responsible and economically viable. While our vision is global, our efforts are often local and are built on the common interests of local, regional and national governments, business, citizen groups, universities, and NGOs. These networks create the kind of synergy needed to ultimately connect and combine MPAs into larger, more resilient reserves. 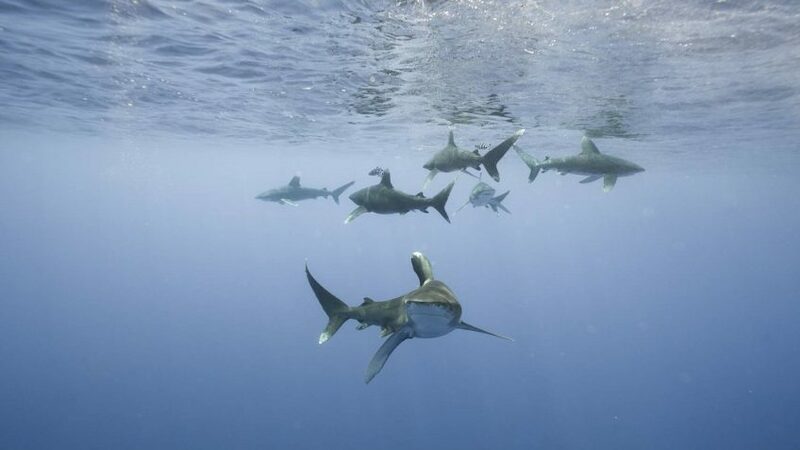 In the Bahamas, groups like the Bahamas National Trust and The Nature Conservancy have worked with the government, NGOs and citizen groups to establish new protected areas and better manage existing ones. Recently, the South African government created 20 new MPAscovering five percent of its water and recommitted to protecting 10 percent. The British government, in collaboration with Blue Marine Foundation and with input from the local community, created a 90,400 square mile reserve around Ascension Island in the Atlantic. Throughout the Pacific Ocean, in places like Palau, Kiribati, Niue and Cook Islands, local groups worked closely with traditional leaders and governments to protect areas several times the size of California, while in Antarctica, a coalition of groups engaged multiple governments in an international forum to protect an area almost twice the size of Texas. This kind of collaboration drives success. A global review of MPAs found that they contributed to dramatic increases in the weight and number of fish within the reserves (446% and 166% respectively) while the size of fish was up 28% and the number of fish species in the reserves grew 21 percent. Even without considering the environmental benefits of marine life regeneration in MPAs, the economic benefits alone are convincing. According to a 2015 study by the World Wildlife Fund, the net benefits of increasing MPAs to 30% of the oceans range from $490 billion and 150,000 full-time jobs to $920 billion and over 180,000 jobs by 2050. Countries have pledged through the United Nations to preserve 10 percent of the world’s oceans by 2020. That may seem like a huge reach, but put it into perspective: According to the World Bank, about 14.5 percent of the world’s land is protected. Certainly our oceans deserve equal treatment. Philanthropy has been driving the effort to protect and expand MPAs, but we need it to be bigger and bolder, with more partners and more government initiative. We can do this together. Please join us.